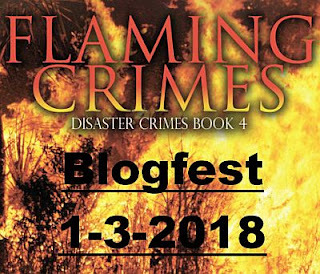 IWSG: January 2018 and Flaming Crimes blogfest! Welcome to the first IWSG posting day of 2018! 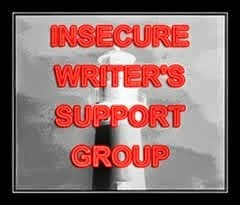 The Insecure Writer's Support Group is a large network of writers--we post our insecurities to the world every first Wednesday of month. This month's question: What steps have you taken or plan to take to put a schedule in place for your writing and publishing? So, a fair portion of my life is scheduled to the nth--work, mainly. 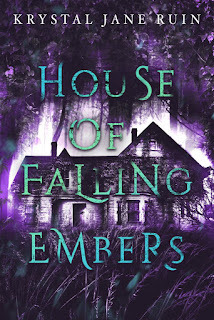 I'm outlining a new series idea--I'm still on the first story outline, though I have characters and stories mapped out for the other three stories--and I plan on getting all four outlines finished before writing any of the books. Because before you can schedule writing or publishing, you have to be sure your ideas actually work. And my longer story ideas tend to fall into mid-drafting meltdown, so we're taking care of the underlying structure first. Without a foundation, there can be no building. Without a decently worked-out plan for a story, there's no way my brain can spin out full-on book-size tales. Prompt: What is something ridiculous you would save if there was a fire? panic-grab in the event of a fire are a pair of fuzzy socks. BLURB: Beth and Donovan are now happily married, and what Beth wants more than anything is a baby. 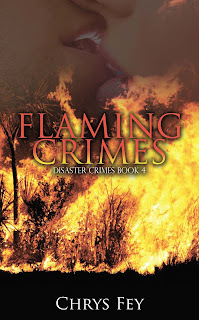 Her dream of starting a family is put on hold as fires burn dangerously close and Donovan becomes a victim of sabotage. Donovan escapes what could've been a deadly wreck. Their past enemies have been eliminated, so who is cutting brake lines and leaving bloody messages? He vows to find out, for the sake of the woman he loves and the life they're trying to build. 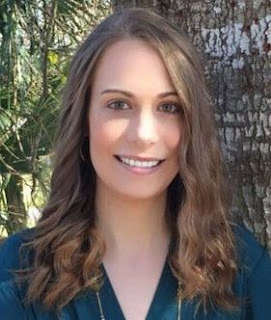 About the Author: Chrys Fey is the author of the Disaster Crimes Series, a unique concept blending romance, crimes, and disasters. She’s partnered with the Insecure Writer’s Support Group and runs their Goodreads book club. She’s also an editor for Dancing Lemur Press. I could definitely use more fuzzy socks. :D I would be okay if cold air would stop seeping into the house. Mid-story freakout is *incredibly* depressing. Let's get rid of it. Love the fuzzy socks. I'd probably grab my Bob Ross socks. Yup, yup, yup. Bob Ross! Good advice on outlining and making sure your ideas work. I'm trying to do a better job outlining up front on my second book. Hopefully, it will make things go more smoothly this time around. Happy New Year! I hope it does make things go more smoothly. I hope those socks have the little rubber treads so you can make a speedy getaway! Oh, I love the ones with the rubber treads! My feet are always cold, too. And I live in Florida. lol I wear socks every day, even in the summer. There are just some people who have extremely cold feet and I'm one of them. We've had several days of being under 25 degrees recently, so I wear fuzzy socks to bed. That's strange. On Safari, the blog looks normal. I noticed it seemed strange on Firefox though. Mid-story meltdowns are a pain (I suffer those a lot.) Here's to getting through! And fuzzy socks are a must. I have a drawer full...that and self-knit ones. How can one survive winter without them? You cannot survive winter without them. Or at least, I can't. It's when you're in the middle of a draft and you suddenly feel stuck or terribly uncertain about where this is going and you hate it and you wonder why you didn't just outline the stupid thing to avoid this bit of turmoil anyway. Hey, at least you'd be comfortable wearing your fuzzy socks! Good luck with your writing project! Iceberg tootsies are no kinda fun, no sirree. Are you square dab in the middle of that looming blizzard? Grab those socks, chug down a cup of hot cocoa (from Gum Drop Island, of course) and curl up before a blazing fire. Then when you're comfortable and chomping at the bit to get to work -- conk out and snore your head off! Heh heh. We're expecting snow. I'm hoping it's not a blizzard, though. I have a bad habit of just attacking a story head on and then finding all the kinks in my plan later. I hope your plans work out! When your feet are cold, you're cold all over. So socks are great choice. Plotters need that security of a strong foundation on which to build. Pantsers just take off and often suffer from mid-story slump. I'm sort of in between. I take off then have to stop and make sure I know where I'm going. Good luck with your goals. Michelle, I like the fuzzy sock idea! It has been super cold where I live so definitely good to have warm fuzzy thoughts! Good luck on your outlining goals this year. Hope it helps your stories sing.